The weather is a changing… again! The weather this past week has gone from really cold to fog to the high 30’s! 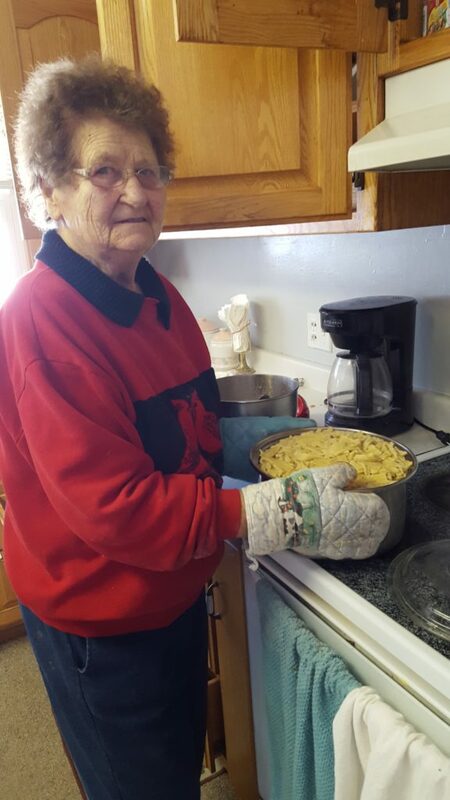 And what better way to celebrate the cold weather than to head over to Ma’s for some homemade noodle soup. SHAZAM!! Ma’s noodle soup is the best anytime of the year much less when it’s so cold outside!! 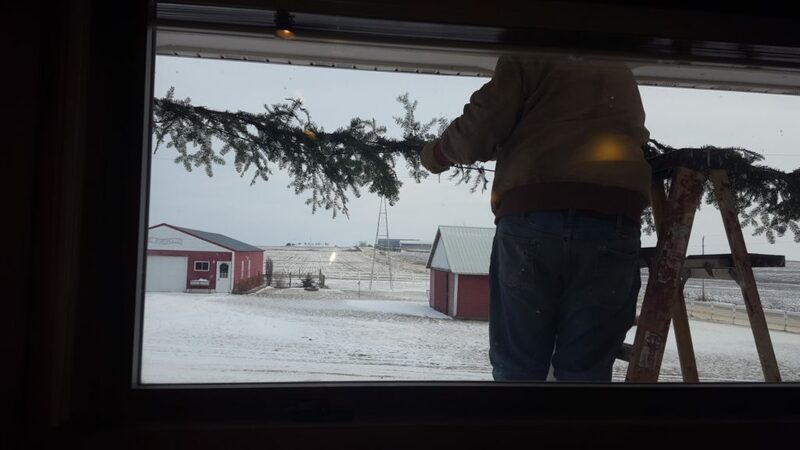 And Daryl started to take down some of the lights this week outside starting with the garland from the front porch. 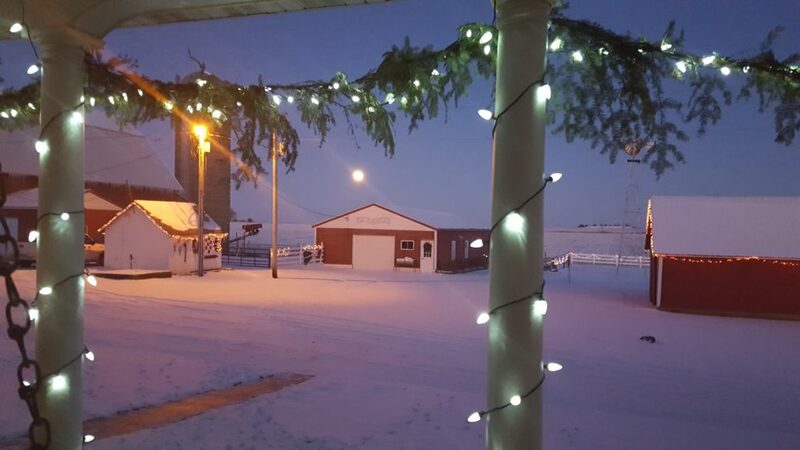 Now even though it’s something that has to be done – I’m just saying that our farm looks pretty boring without all the lights on!! I tried to concentrate on making soap while he was busy outside – but it was kinda hard with my view of him from the kitchen! So as I look forward to seeing just what this week is going to bring, I thought of the full moon we had the other night when our lights were still lit. I found myself sitting on the couch in our living room looking out the french doors and I was reminded again just how peaceful it is here. For awhile I was thinking about moving the couch away from facing these doors – but I don’t think that’s such a great idea. Especially when you have a view like this! This entry was posted in Family, In the kitchen, Our dogs, Uncategorized. Bookmark the permalink. 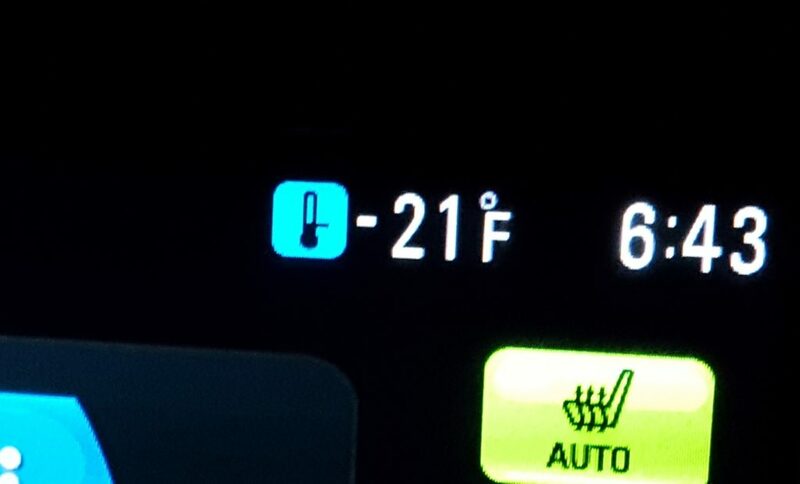 1 Response to The weather is a changing… again! I think you are right to leave the couches where you can see the best outside view. Whenever I see fancy homes online I look to see what the couches are facing. In one home, I even asked, because she never showed the view from the couch. She didn’t answer my question, and I figured out that the couch faced the front door, with the windows behind the couch. Who wants to look at the front door all the time?